Kurt Vile has announced new tour dates behind his joint album with Courtney Barnett 'Lotta Sea Lice'. With a handful of modern indie-rock in his discography, Kurt Vile is going on the epic Tour along with Australian musician Courtney Barnett. 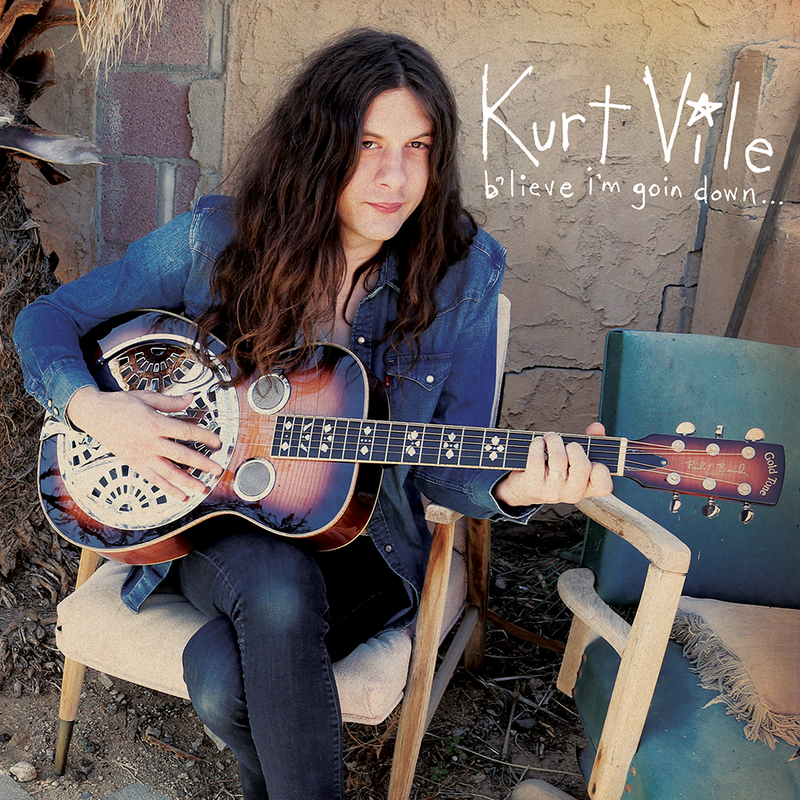 The full routing was revealed for Kurt Vile's most ambitious project to date. The four-week tour has stops all over the country kicking off June 13 in Morgantown, WV at Metropolitan Theatre and wrapping up on July 17 in Charlotte, NC at The Underground. Kurt Vile is bringing Dylan Carlson and Connections at various points on the road with him as supporting acts throughout the tour. Kurt Vile was one of the founders of the Philadelphia-based band The War on Drugs, which he left at the end of 2008 to take a solo career. In point of fact, Kurt Vile's music is referred to indie-rock with impurities of folk and lo-fi and is often compared to great compositions by Bruce Springsteen. The latest project, on which Kurt was focused most, is a collaboration with Courtney Barnett musician, with whom he co-wrote an album called ‘Lotta Sea Lice’ on August 30, 2017, and received positive reviews from music critics and fans. Vile’s last LP was 2015’s b’lieve i’m goin down. Kurt Vile was one of the founders of the Philadelphia-based band The War on Drugs, which he left at the end of 2008 to take a solo career. Since then, he has released four full-fledged studio albums and four EPs. Currently, he has signed a contract with Matador Records. Usually, he performs as a solo artist as well, as the support of The Violators and The War on Drugs bands. In point of fact, Kurt Vile's music is referred to indie-rock with impurities of folk and lo-fi and is often compared to great compositions by Bruce Springsteen. Among the artists who influenced his work the most, the musician attributes himself to the general mood of such legends, as Fleetwood Mac and Bob Dylan. The latest project, on which Kurt was focused most, is a collaboration with Courtney Barnett musician, with whom he co-wrote an album called ‘Lotta Sea Lice’ on August 30, 2017, and received positive reviews from music critics and fans. In addition, the main single «Over Everything», taken from the sophomore album, was filmed by remarkable cinematographer Danny Cohen. Beginning February 6 in the city of Monterey, CA at the Monterey Pop Festival, Kurt Vile and Courtney Barnett will be on their Tour through November 11, where it will end in the city of Austin, TX at the ACL Live at the Moody Theater. With his curtain of long hair, a Lou-Reed-esque singing style and a deft hand on the guitar – one can expect nothing but good old fashioned musical story telling with a live performance of Kurt Vile and his band. Fans shouldn’t expect a rock show. In fact, Vile’s relaxed/weirdo/chilled vibe in his music mirrors his on stage persona perfectly. With its mix of philosophical, melancholia and catchy beats, b’lieve i’m going down has been Vile’s most acclaimed album yet. His latest release follows a theme of previous folk-rock albums, including Smoke Ring For My Halo and Wakin’ on a Pretty Daze, albeit with a slightly more relaxed feel as he tones down on the electric guitar. Noted for its sadder themes, it sees Vile doing what he does best – capturing an emotion and transcribing it into music for the modern world. Released in September last year on Matador records, the album is full of Vile’s witty and sophisticated musings as he fully lives up to his persona of a “slacker rocker”. Weird, observant and charmingly funny, it also sees him mixing up his instrumentation: banjos and pianos feature where electric guitar once did. “Pretty Pimpin’” is Vile’s catchiest song to date, as the lyrics describe a man looking at a mirror in confusion, as he takes multiple looks at “the man in the meer-ror”, sung in his unique, almost nasally snarl. The title of the fourth track sums up his nonchalant existential crisis appeal perfectly: “That’s Life, tho (almost hate to say)”. Vile has stated his love of music at age of 14 when his father bought him a banjo. Throughout his teenage years and early adult years, Vile would self-release his music on cassettes and CD-Rs – marking the beginning of a prolific musical life. Vile worked as a forklift driver from 2000 to 2002 whilst continuing to self-release music. Vile moved to Boston briefly, but returned to Philadelphia in 2003 where he started working with fellow musician Adam Granduciel. The two eventually formed the indie rock band The War on Drugs in 2005 and they released their debut album, Wagonwheel Blues, in 2008. During the same period, Vile’s also released his debut solo album, Constant Hitmaker, which consisted of his self-produced recordings from 2003 to 2007. As The War on Drugs grew in popularity, Vile decided to concentrate on his solo career and amicably left the band. Fellow The War on Drugs cofounder Adam Granduciel continued to be a part of Vile’s backing band, The Violators, until leaving in 2011. Current backing band members include Jesse Trbovich on guitar, bass and saxophone, Rob Laakso on guitar, bass and keys, and Kyle Spence on drums. Vile’s debut album Constant Hitmaker released in 2008 would ring true to its name. The prolific artist has gone to constantly release hit after hit throughout the years. In 2009 he released his second album, God Is Saying This to You... on independent record label Mexican Summer. It too consisted of previous self-produced recordings. At the time of its release, Vile had already recorded Childish Prodigy, a studio album, which was then released the same year on Matador Records. This officially marked his shift from bedroom lo-fi to polished recordings and his cemented relationship with Matador Records. Vile then released Smoke Ring for My Halo in 2011 and Wakin’ on a Pretty Daze in 2013, both albums receiving positive reviews.